FutureMark(R) Paper Group, North America’s leading provider of responsibly made recycled paper, revealed it is now securing approximately 50% of the recovered paper needed to run its business through long-term purchase agreements. The agreements, collectively worth more than $20 million per year, help FutureMark manage its costs for buying waste paper, which is the company’s single largest operational expense. The long-term agreements also greatly reduce FutureMark’s exposure to wild swings in waste paper costs, which have fluctuated by more than 300% within two-year cycles, and provide the same benefits to its suppliers when markets tumble. FutureMark has signed 10 long-term agreements for buying the recovered paper needed to make the company’s 90% to 100% recycled paper. Each agreement lasts for two or three years and establishes a stable cost, regardless of how dramatically recovered paper markets rise or fall over the life of the agreement. 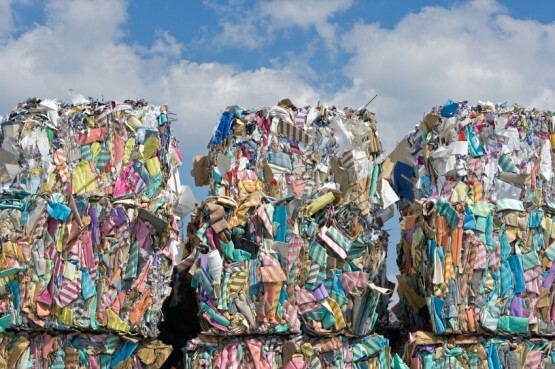 Volatile waste paper costs–and the financial uncertainty that comes with it–have contributed to the bankruptcies of several recycled paper mills over the past few years. High waste paper prices also played a role in the bankruptcy of Manistique Papers in 2011. Manistique Papers was purchased from bankruptcy and integrated into FutureMark Paper Group in 2012. As part of FutureMark Paper Group, the Manistique mill is now experiencing a revival. It has hired 24 people since joining the Group. It has also made significant strides in product quality and manufacturing efficiency, boosting productivity on its paper machine by 11%. Stabilizing the Manistique facility’s recovered paper costs was a strategic priority for FutureMark to ensure the mill’s long-term health. FutureMark has negotiated several multiyear, cost-stabilized recovered paper purchase agreements for its Manistique production center. By establishing multiyear, stable cost agreements for recovered paper, FutureMark and its suppliers can reduce the time spent negotiating monthly transactions for recovered paper and can allocate their time instead to other value-added business activities. FutureMark’s Manistique production center fulfills more than 40% of its recovered paper needs though cost-stabilized long-term agreements. FutureMark’s production center for coated paper in Alsip, Ill., just outside Chicago, secures about 60% of its annual recovered paper needs through similar agreements. FutureMark Paper Group is North America’s leading provider of responsibly made, high–recycled paper. Through continuous green innovation, the group produces high–quality, high–performance printing and packaging papers with unmatched levels of recycled content. FutureMark’s recycled paper solutions help sustainability leaders uphold their environmental commitments while advancing their business goals. FutureMark Paper Group’s production centers are located in Michigan’s Upper Peninsula and in the Chicago metropolitan area. For more information, please visit www.FutureMarkPaper.com. FutureMark is a registered trademark of FutureMark Paper Group, or an affiliate thereof, in the United States. All other trademarks used within this document are the property of their respective owners.